Deadpool star Ryan Reynolds has shared a funny picture to honour Disney’s acquisition of 21st Century Fox. Deadpool is coming to Disney! Disney has now acquired $71.3 billion of most of 21st Century Fox’s Entertainment assets in an almost sealed deal, with the acquisition being affective in just a few hours. This morning, Deadpool star Ryan Reynolds shared a photo to cherish the occasuon, featuring his character Deadpool waving towards the camera while being inside a school bus which has Disney written on it. 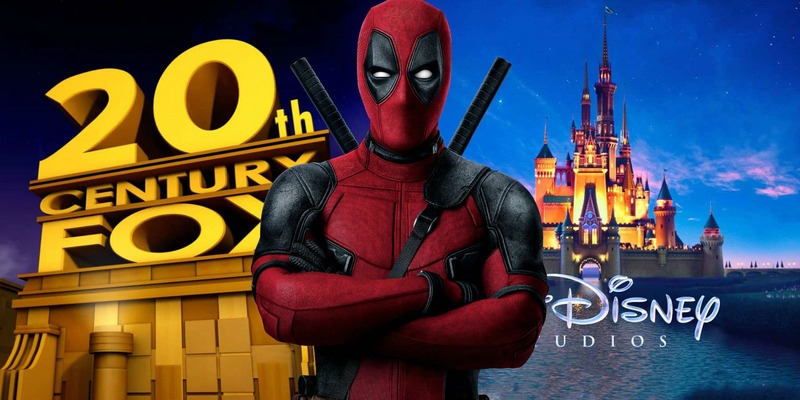 Check out the photo shared by Ryan Reynolds:Disney has been providing clean family entertainment since years now but recently CEO Bob Iger revealed that Deadpool will stay R-rated even after the studios merge. The deal will bring home franchises like, Fantastic Four and X-Men, while other properties like The Simpsons and Avatar. Ryan Reynolds was last seen in Deadpool 2, which is now available on 4K Ultra HD, Blu-Ray, DVD, and Digital HD. After surviving a near fatal bovine attack, a disfigured cafeteria chef (Wade Wilson) struggles to fulfill his dream of becoming Mayberry’s hottest bartender while also learning to cope with his lost sense of taste. Searching to regain his spice for life, as well as a flux capacitor, Wade must battle ninjas, the yakuza, and a pack of sexually aggressive canines, as he journeys around the world to discover the importance of family, friendship, and flavor – finding a new taste for adventure and earning the coveted coffee mug title of World’s Best Lover. Directed by David Leith from a script written by Rhett Reese & Paul Wernick & Ryan Reynolds, Deadpool 2 stars Ryan Reynolds, Josh Brolin, Morena Baccarin, Julian Dennison, Zazie Beetz, T.J. Miller, Brianna Hildebrand, and Jack Kesy. Vasu Sharma manages content and takes care of the editorial board at Animated Times. He's 22 years old and has done his masters in journalism from St. Xavier's College, Mumbai. ‘Toy Story 4’ Trailer Released!